On behalf of the people of HiroshimaPrefecture, I pray for the souls of those who lost their lives in the atomicbombing. I would also like to offer my condolences to the bereaved families andexpress my deepest sympathies to the hibakusha, or atomic bomb survivors, whoeven today suffer from the aftereffects of the bomb. Shortly after the atomic bombing, it wasbelieved that not even a single blade of grass would grow in Hiroshima for 75years. We will reach that milestone in just two years as we live in this era ofgreat change. Wesee a ray of light: the international community has agreed to support theTreaty on the Prohibition of Nuclear Weapons, which stresses the inhumanenature of nuclear weapons. 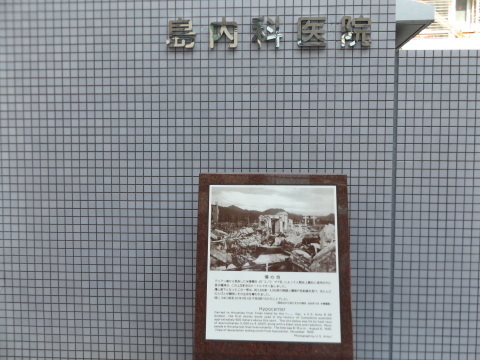 This was achieved because many countries knew aboutthe devastatingly inhumane experiences of Hiroshima and Nagasaki—experiencesthat are beyond description—thanks to the many years of efforts of hibakusha totestify to what they actually went through, despite the fact that it waspainful for them to even recall it. Onthe other hand, we see increased international tension in various parts of theworld. Nuclear states are upgrading their nuclear weapons and enhancing theirperformance, and are even walking on developing “usable” nuclear weapons. Thisis because many countries, particularly nuclear states, still believe in thebalance of power ensured by nuclear deterrence. How many of you could seriously offer suchan explanation to your children? Rather than setting a bomb to blow up thenext-door house, we must consider the best way to avoid conflicts, and actaccordingly. Ourhouse in Japan has been blown up twice. Even today, we still have many peopleinjured by the blasts and radiation, and they continue to suffer from theaftereffects. As the only nation that has experienced these calamities, wefirmly believe that we should gather the wisdom of people all over the world tobuild a new security strategy by releasing ourselves from the yoke of nucleardeterrence and overcoming the notion. In 2020, two years from now, the NPTReview Conference will be held. In the lead-up to that year, which marks the75th anniversary of the atomic bombings, the international community must risetogether and act in concert to achieve a world without nuclear weapons. Ifirmly believe that it is the moral responsibility of the Japanese people towork to foster world peace so that we can assure our children, and children allover the world, that their houses will be safe in a true sense. Iwould like to conclude my message of peace by vowing here today to join withthe people of the world to abolish nuclear weapons and leave for futuregenerations a peaceful world where everyone can lead an enriched and happylife. I also pledge to do my best to enhance our support to the aging hibakushaliving both within and outside Japan.